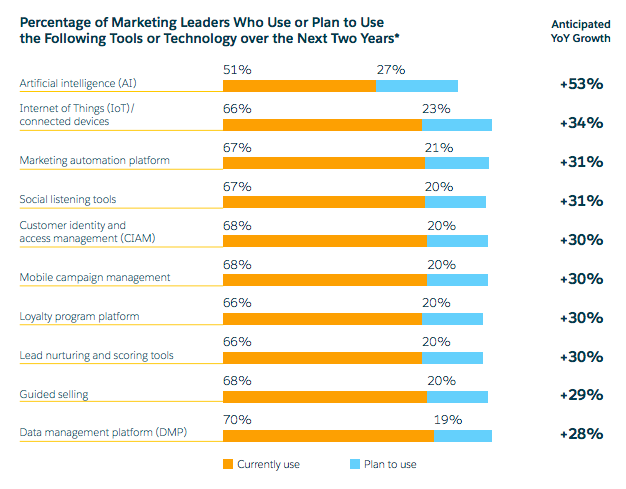 Per the Salesforce Fourth Annual State of Marketing Report 2017, around 67% (see below graph) of marketing leaders are already using marketing automation platforms with an anticipated YOY growth of 31%. For a connected customer experience, businesses have started to leverage the power of marketing automation platforms to fuel their existing marketing strategy. Marketing automation simply refers to the automation of activities that are carried out on a redundant basis in order to save time and money. Similarly, real-time marketing automation covers tools that automatically assist customers during their micro moments resulting in increased conversions. Every customer passes through a lifecycle before a purchase is made. 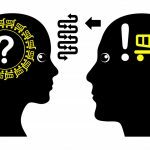 As a marketer, it is important for you to realize the significance of connecting with the customer at each stage of the cycle and provide assistance to them resulting in increased chances of generating a sale. With real-time marketing automation you can automate your communication starting from the very first customer touchpoint. You can create and deploy real-time messages based on smart triggers that automatically follows up with customers whenever they need assistance. In simpler terms, marketing automation helps to bridge the gap between marketing and sales. A lead is generated when you are able to capture the interest of your audience in your products or services. With real-time marketing automation platforms, you have the power to fine tune your lead scoring system which helps to assign dynamic scoring for lead prioritization. Automatic lead management allows you to move the hot leads directly into sales while lukewarm leads can be followed up using activities like blog subscriptions or downloads. 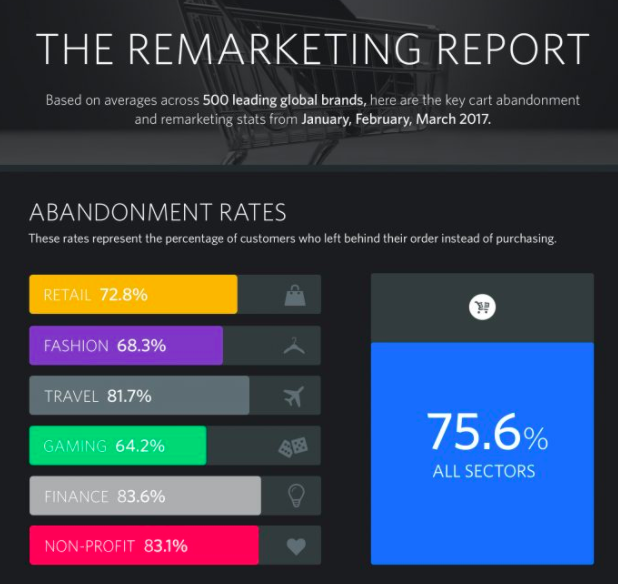 Cart abandonment is a major pain point for ecommerce businesses, with the latest remarketing report suggesting that abandonment rates have risen close to 76% (see below graph) in 2017. The numbers are scary but with marketing automation, you have the power to reduce cart abandonment rates to a bare minimum. With the help of marketing automation tools like GetResponse, you can create cart abandonment workflows and determine specific time frames when the cart is more likely to be abandoned. You can immediately trigger follow-up emails having personalized offers persuading prospects to complete a purchase. No matter how many people you add to your marketing team, it would still be inefficient to handle each and every prospect at each cycle of their journey. This is where marketing automation helps. With the help of software that comes with at affordable monthly fee, you are able to automate your entire marketing activities right from sending automated messages to prospects/leads and even converting those leads with proper campaign tracking triggers at each stage of the purchase cycle. 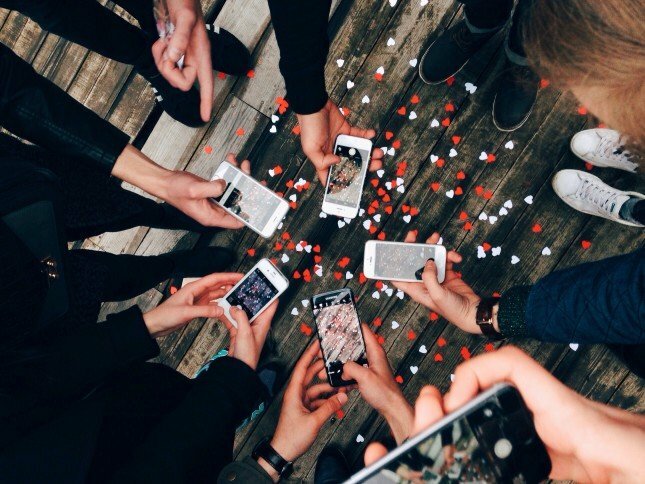 Nowadays, we are living in the age of excess data. Tools like Google Analytics allows you to have access to lots of data related to each and every channel but you still need more to achieve success in your marketing efforts. 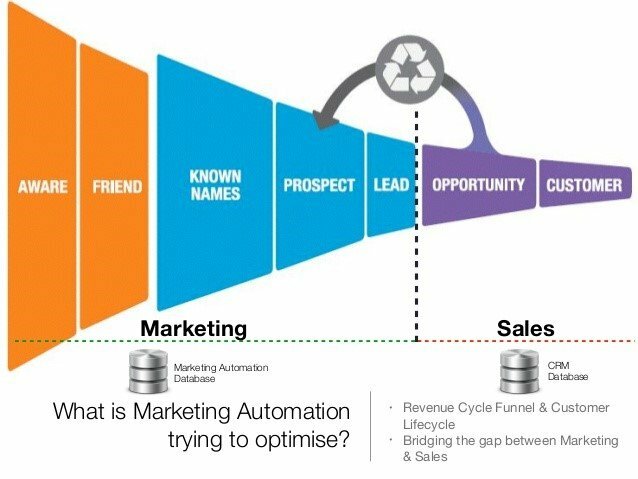 Marketing automation not only helps to provide data but it also helps to derive insights out of the available data so you can take the right decision at the right time and never miss a chance of converting your prospects to customers. What behavior is performed when a visitor lands on your website? What other channels has the prospect interacted with (like email) that might influence conversion? Where does the prospect work? What company does he or she work for? Can he/she afford to buy your services? Etc. The percentage of people who clicked on your email but didn’t convert? How many people visited the services page coming from social media? Which campaigns bring in the most leads that convert? What are the common characteristics of people who end up buying? Is content promotion leading to conversions? Etc. Nowadays, no marketing campaign is successful without proper content analysis, measurement and delivery. Time plays a crucial role in this regard. Every marketer needs a tool that can create and integrate workflows for yielding long-term benefits. 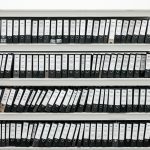 This is the reason every business should adopt automation tools into their marketing strategy as it helps to increases the effectiveness and efficiency of marketing campaigns.